After a darn busy couple of months – so much for having time when you are retired – I’ve had a chance to play with a new rifle and I figured I ought to let you know my thoughts. 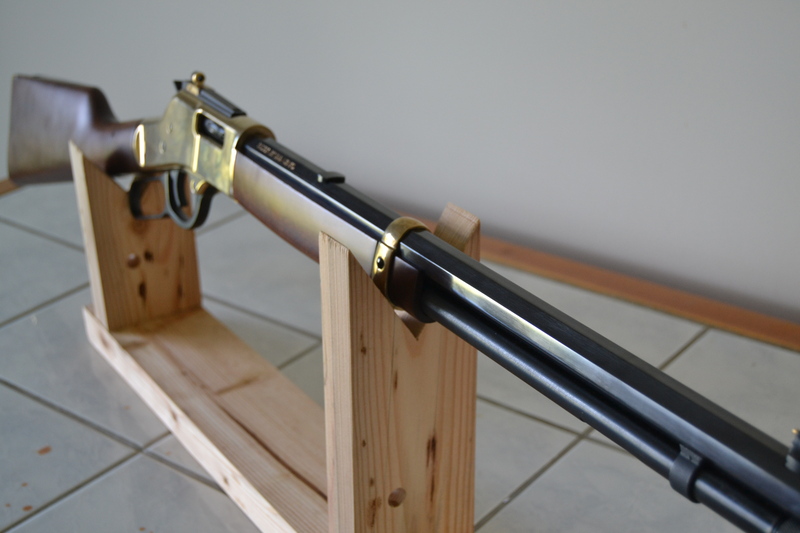 The subject of this review – Henry’s Big Boy Lever Rifle in .357 Magnum – represents a bit of a departure for me as my taste in long guns really leans towards the heavy barreled bolt gun that, topped off with good glass, is a half-minute or so paper puncher. 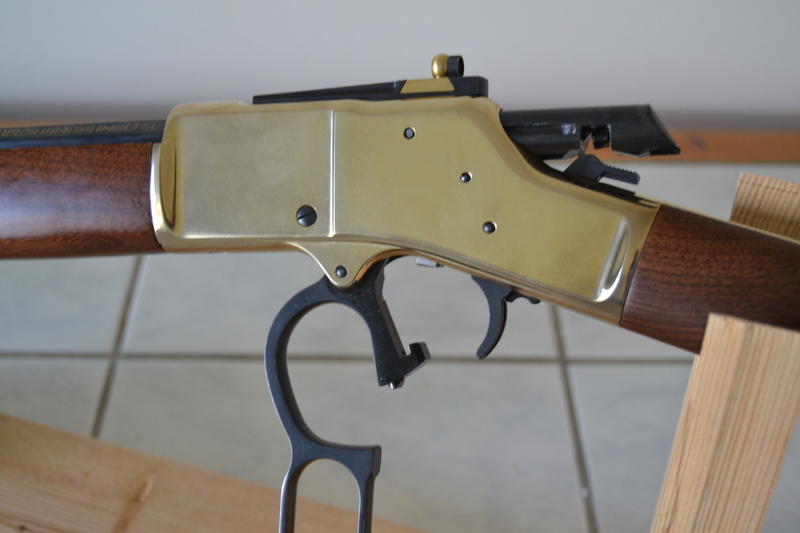 In fact the Henry is only the second lever action rifle I’ve ever owned and the only one that currenty is in my possession. 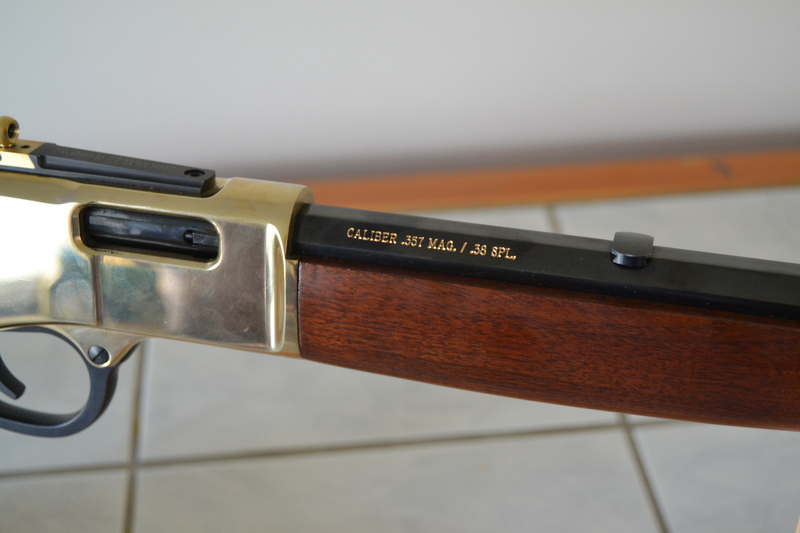 What drew me into the purchase of the Henry was the calibre – I like a rifle that can shoot pistol rounds as it gives me an interchangeability with handguns and pistol cartridges are generally cheaper both to buy and make. While the Big Boy comes in .44 Mag and 45 Colt I figured the .357 was the best bet as it is compatible with my revolvers, is easy to shoot as a plinker ( especially with .38 Special ) and is an effective deer round at the short, woodland, ranges like those found in the trees around my bottom hayfield. Like many, if not all, people who are true admirers of firearms I am always one to look at the fit and finish of a rifle. 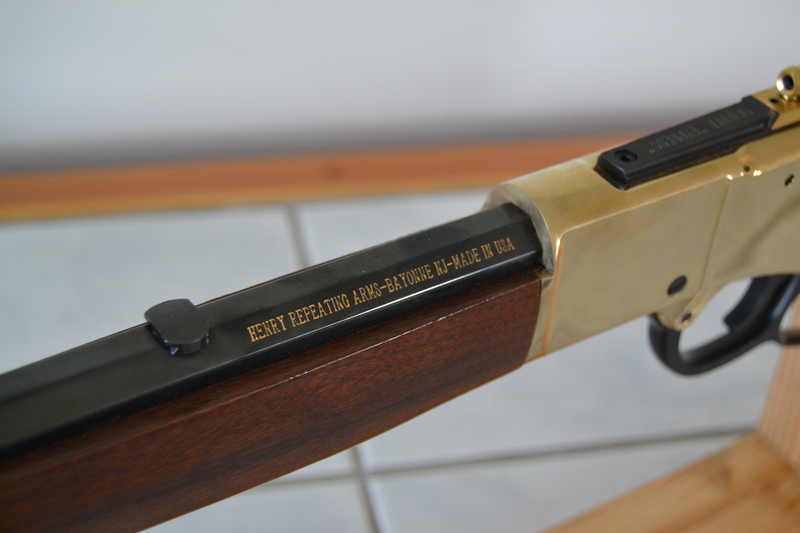 In fact I would admit to being quite picky about such things especially as the price tag of the rifle goes up but in this case I was quite simply stunned at how beautiful this rifle from Henry was put together. 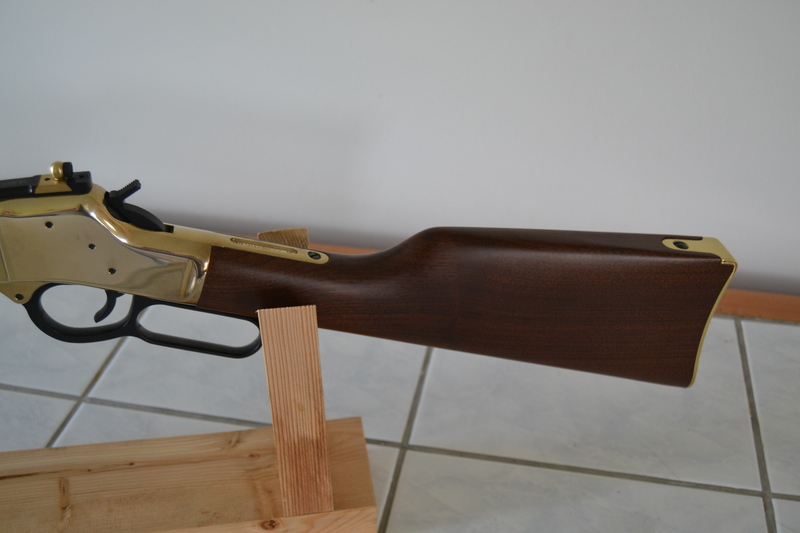 The folks who make this rifle really have done a fabulous job – the rich, deep bluing of the 20″ octagonal barrel reminds me of the bluing that one used to fine on really nice Smith &Wesson revolvers rises and the brass receiver, barrel and buttstock are highly polished but the wood – well, honestly I didn’t know that one could still even buy a modern gun that didn’t cost multiple thousands of dollars that had furniture so lustrous and well grained. Truly, the folks at Henry take pride in what they make and sell. 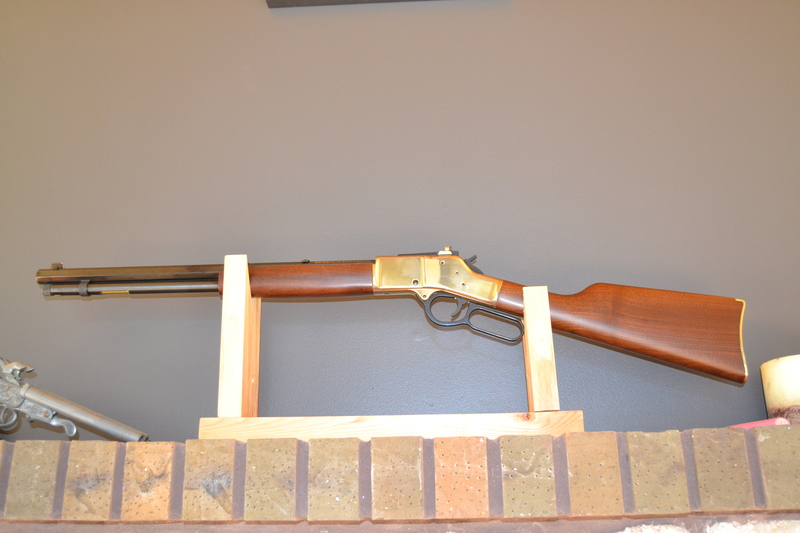 My previous, limited, experience with lever guns led me to believe that that they were a bit stiff out of the box and needed to be broken in before they smoothed out but not so with this rifle as it was smooth from the first – again evidence of something that has been well assembled. The Henry Big Boy is a well balanced rifle but the heavy, octagonal, 20″ barrel is quite heavy which translates into an overall weighty rifle for what is, after all, a carbine. Not uncomfortably heavy but noticeable if you plan on carrying any real distance – and carrying you will as, perhaps oddly, no provision for a sling. Of course the flip side to a rifle being a bit weighty is that the felt recoil is much diminished. Of course .357 in a carbine isn’t a particularly punchy round but out of the Henry it really does feel like you could shoot all day and running .38 special through the Big Boy will have you checking to make sure that a round fired wasn’t a squib load. Having a rifle that is beautiful to look at and an easy to shoot is all well and good but, as Col Townsend Whelan once said, only accurate rifles are interesting. Now accuracy standards can’t be the same for all rifles and so I saw no point in trying to sandbag the rifle and shoot nice little 5 shot groups like I would for a scoped bolt gun but rather I decided to see what practical accuracy would be like from unsupported positions. 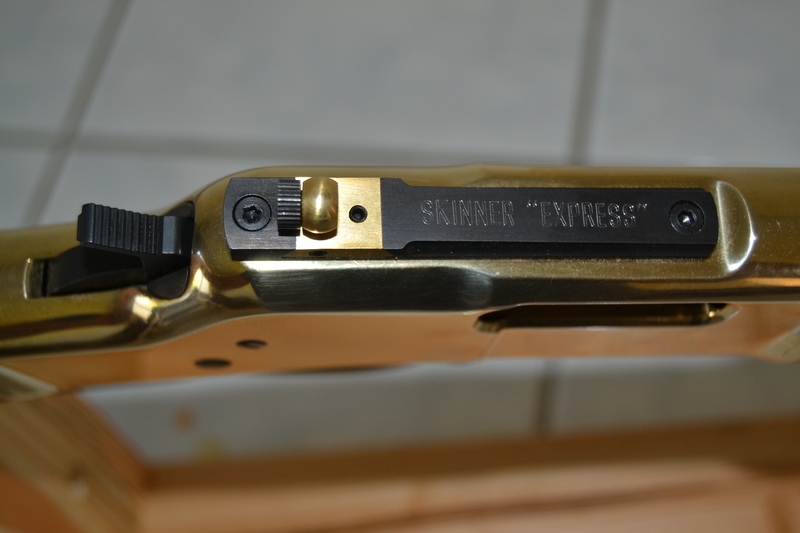 To aid my middle-aged eyes I have a Skinner Express peepsight installed on this rifle and I strongly recommend this as an upgrade over the stock supplied sights – the Skinner peeps complement the style of this rifle and really do help in aiming. I figured that if I could hit the vitals of a deer at any ethical distance the calibre could manage that the rifle would pass a practical accuracy test so suitably equipped with the backing cardboard from a frozen medium size pizza ( the sacrifices I make ! ) I headed down to my target board to see how the Big Boy would score. Shooting factory Remington .357 125g pills the Big Boy had no difficulty whatsoever at the pie plate test at 50 and 70 yards and at about 30 yards I was able to make consistent headshots on a Birchwood Casey BC 27 silhouette target. During the shooting test I went through two boxes of ammo – it’s real easy to loose track with a gun this nice to shoot – and there were no jams, FTE, or FTF to report. 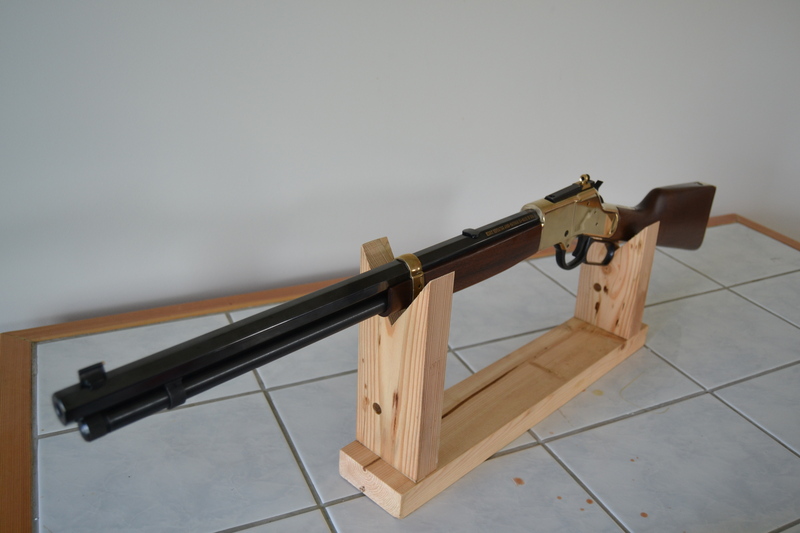 Loading of this rifle is via a tube underneath the barrel and before buying this rifle I’d read about how reloading was difficult and that the tube goes flying everywhere etc etc. 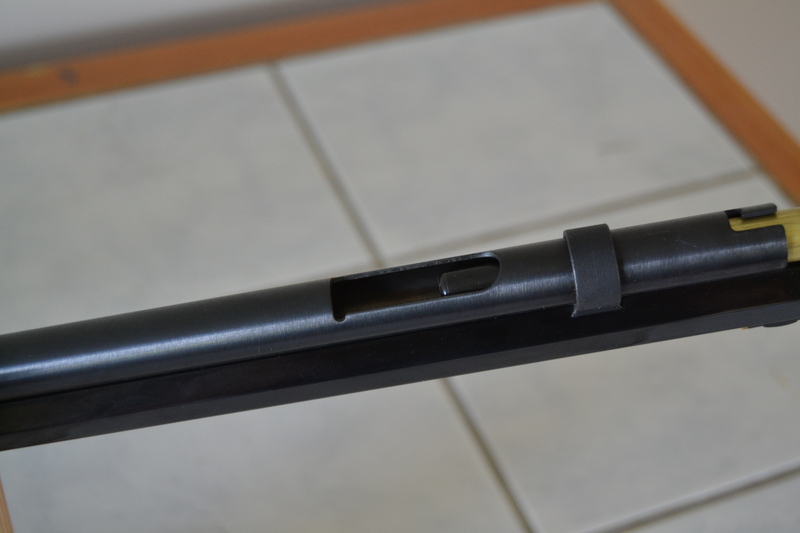 I think such comments to be overstated as while reloading the Henry isn’t quite as simple as loading from a port on the side of a receiver or loading a pump action shotgun it really isn’t anywhere near as difficult or time consuming as other reviews would have you believe. The only time I can think that this system of reloading may have very serious repercussions is a reload under the stress of a home defense scenario but if it comes to that – and a magazine tube full of .357 hasn’t solved the problem – then it is time to go for another weapon. I have the Big Big Boy Steel in .44 Mag, same Skinner Black Gold peep (62 year old eyes). Added their large loop lever. The wood is checkered and amazing. Sub 2″ groups at 50 yards. Actually too nice to take hunting. Wish I could figure out how to attach a photo. Get rid of that Skinner sight, and buy a Holosun Red Dot Cirlcle, HS503C. I’m 73, and it’s fantastic. Wonderful rifle, small problem with ejecting spent shell. And I have a scope, and difficulty sighting it in. As I said before it is a wonderful machine. Most issues with ejecting is because the shooter isn’t working the lever firmly enough. Not implying you aren’t, just my observations of other shooters. If you are having any issues at all contact Henry Repeating Arms and they will make everything right, their customer service is top notch! Thanks for the review! And thank you for using our sight. Just picked mine up and am chomping at the bit to get it to the range. It’s a beautiful rifle and I have no regrets. Feeding it may be expensive but it will be worth it. Any cleaning tips? I put skinner sights on mine as well, did not even have to take off the buck horn and my front sight was perfect.